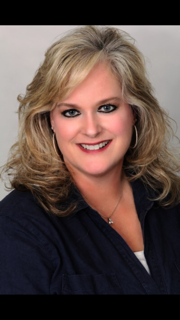 Why Should You Use Sarah Terrell, of The Terrell Team, to sell your home? Because no one works harder to sell your home than Sarah Terrell! 1. EXPERIENCE: Sarah knows how to price homes in the North Georgia area: Sarah Terrell (The Terrell Team) has worked in real estate for over 20 years. Sarah knows how to price homes to sell, how to market homes for sale, and how to find you the right home. 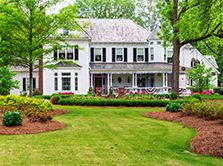 Sarah Terrell knows the local real estate market in Canton, Holly Springs, Marietta, Acworth, Kennesaw and other North Georgia areas and metro Atlanta counties. 2. HONESTY and INTEGRITY: You can trust the advice that Sarah gives you when it comes to buying or selling real estate. Sarah has lived in the North Georgia area for over 20 years, and she can help you find the home you want to live in, the home you want to retire in, or the investment you are looking for. Call Sarah Terrell to find out what the value of your home is, or to list your home for sale. 3. FULL-TIME COMMITMENT: Selling real estate is Sarah Terrell's full time job! As a full-time agent, it is her #1 goal to find you the home you need. If you are moving to the North Georgia area, call Sarah today, and let her help you find the perfect home!